Product | Hand ToolsSee our selection of hand tools that will help you get the job done right! 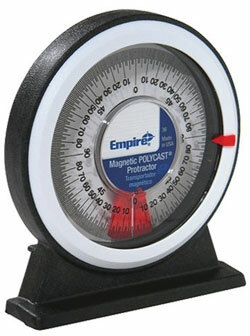 The Empire Level 36 Series Magnetic Polycast Protractor is built to be a versatile tool for all kinds of angles and pitches. Built with an easy to read dial with adjustable angle pointer and a magnetic base and back. 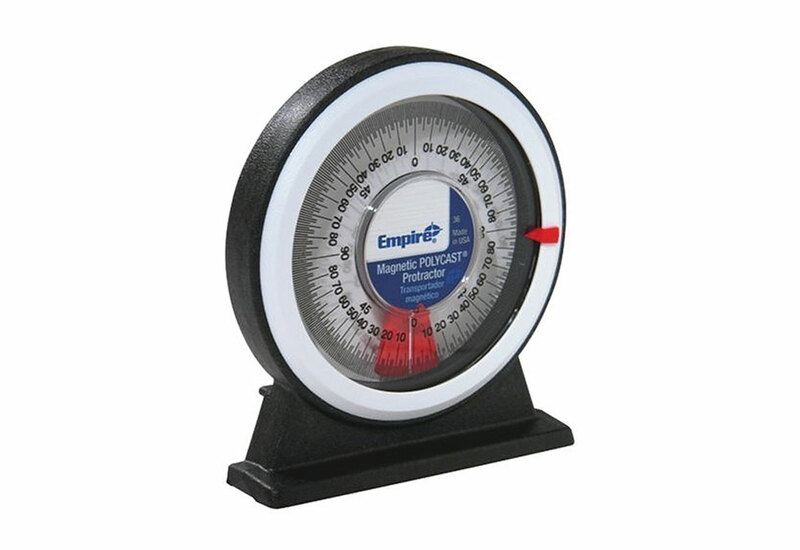 This handy cost effective protractor also includes an angle pitch calculator in back.